At Redford Automotive Service Center, we need our Detroit Customers to get the opportunity to truly feel comfortable in their vehicle. You can leave the repairs to our ASE Certified Master Technicians, but please don’t hesitate to ask us questions concerning why a service is needed or why it happend. Give us a call at 313-937-2000, and we will be delighted to talk with you. 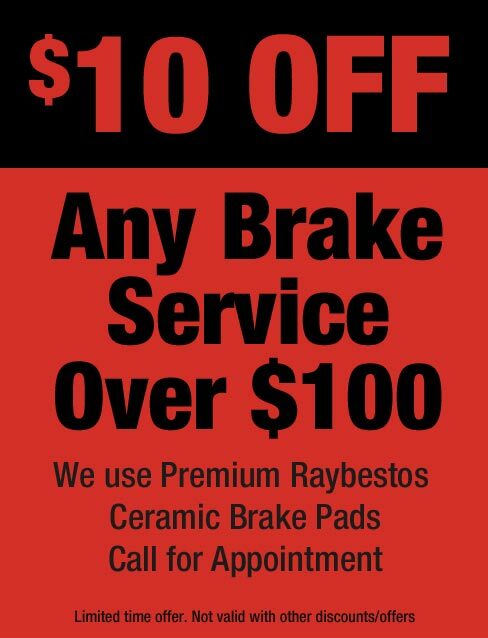 This is some valuable information on brake problems and corrective services Redford Automotive Service Center offers. Brake pad problems can typically be recognized by squealing brakes. If your brake pads float completely, you’ll notice a grinding metal-on-metal sound when braking, meaning it is too late and you are destroying your rotors or drums. Those with knowledge of automobile repair could be able to correct this at home, but you should always see an automobile repair professional immediately in the event that you have brake problems. In a disc brake system, rotors are attached to a car’s wheels. When the brake pads hold the rotor, then they bring both rotor and wheels to a stop. On the other hand, the friction causes grooves and cracks to appear over time. Resurfacing brings the rotor back to some “like-new” state, reducing squealing and wobbling. Redford Automotive Service Center will give your rotors a thorough inspection and recommend your very best course of action. The brake caliper houses your brake pads and fits around the rotor like a cone, pressing the pads from the rotor when you brake. A brake caliper problem could cause uneven braking, making your car slide ahead when you brake. Uneven braking can also cause your vehicle to slide out of control in poor weather conditions, so contact Redford Automotive Service Center as soon as possible. A brake hose is a rubber tube carrying pressurized brake fluid in the master cylinder into the wheels. A crushed hose may cause a lagged or slow brake, and also a leak in the hose may cause the break, or even the total brake system, to fail. These do not need to be replaced regularly, but ought to be replaced in the first sign of wear or cracking. Brake fluid will absorb water from the air over time, causing the brake system to become less powerful and the fluid to become corrosive, possibly damaging the system. It is important to perform a brake fluid flush frequently to make sure your vehicle is utilizing fresh fluid. Talk to our technicians in Redford Automotive Service Center about when it’s time for a brake fluid flush. Anti-lock Brake Systems (ABS) ensure that the wheels don’t stop rotating during Braking, preventing the vehicle from skidding and offering greater control. If your ABS light come on don’t hesitate to give Redford Automotive Service Center.